Sutter Street Theatre’s production of “Evil Dead: The Musical” delivers a blood soaked performance that features an actor who captures the charisma of the actor of the original film, though audience members not familiar with the source material may be left in the dark. 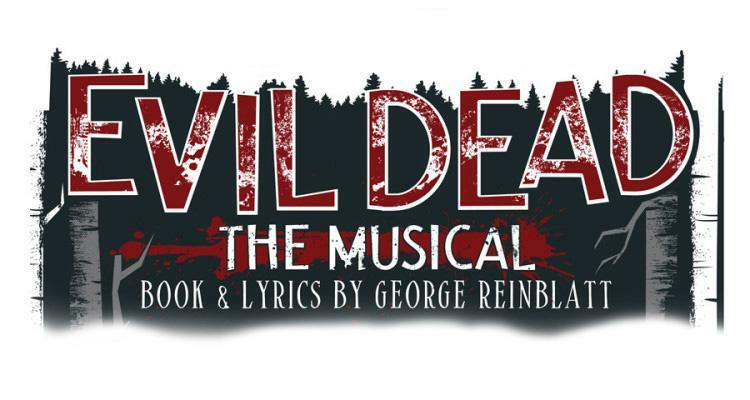 “Evil Dead: The Musical,” written by George Reinblatt, is a theater adaptation of the horror film series of the same name. The original films were written by Sam Raimi that starred Bruce Campbell as the main character Ash. The basis of “Evil Dead’ is that a group of college students discover a tape recording and a book that is made out of flesh and bone in a cabin in the woods. A demoniacal force is unleashed into the world once the tape is played. The characters are one by one are possessed and transformed into monsters called deadites. “Evil Dead 2” acts as both a remake and a sequel to its predecessor by having a recap that was loosely based on the original. The musical combines these two films together. Christopher Celestin plays the main character, Ash. The play pamphlet states that this is his dream role and his portrayal of Ash is a strong argument for that. If there is one aspect that Celestin is able to capture, it is Campbell’s voice. There were moments where Celestin sounded like Campbell when he used a catchphrase from the original movie. The first three rows of the audience were promised by the end of the night they would be covered in fake blood. Super soakers filled with blood were fired into the audience and one of the supporting characters squirted blood on people as he died. Since the play was written with the franchise’s most loyal audience in mind and is filled with inside jokes and one-liners, audience members, who have not watched the original films, will most likely have a hard time finding enjoyment in “Evil Dead: The Musical” for a lot of this will go over their heads. The play, as with the upcoming television series “Ash vs the Evil Dead,” belongs to the type of pop culture that plays on people’s desires for nostalgia. Although it is doubtful that a musical is what the series’s fan base initially wanted, the need for more material out of this world was what unleashed the deadites unto a different medium. While at first it seems a musical of the “Evil Dead” films is random, this type of production makes sense to the franchise’s history. For those that have already watched and experienced the original “Evil Dead” movies, will find enjoyment in the blood and gore that the musical rendition has to offer. 1 Comment on "Review: Sutter Street Theatre delivers a blood soaked production of ‘Evil Dead:The Musical’"
It’s truly a nice and useful piece of info. I am glad that you shared this useful info with us. Please stay us informed like this. Thank you for sharing.